Why Birth Horoscope (Janma Patrika)? It is a most commonly chosen model of horoscope. It is 100 plus page report of astrological calculations and 5 year’s predictions based on Dasha & Transit. 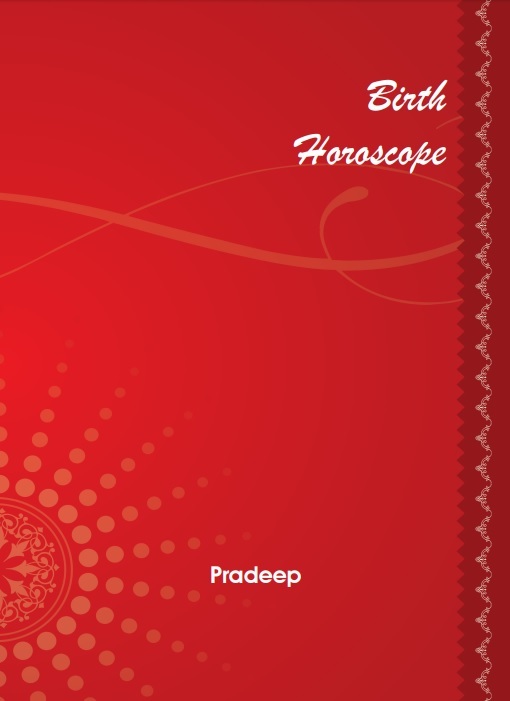 Further it contains brief Numerology Report & important information like lucky day, lucky number, color, gem, deity, Mantra has also been included. The unique results of various planets & houses have been discussed in detail. Detailed explanation of useful & beneficial remedies through Rudraksha and gems has been given as per horoscope. Remedies for Sade sati, Maglik Dosha & Kalsarp Yoga have been explained in detail. Favorable Points, information about lucky stone, color, number, article, time, day, date, year, sign, cereal, metal, direction, donation item, God etc. Predictions about various areas of life like Health, Personality, Nature, Wealth, Family, Profession, Children, Marriage, Travel etc.